One important element of any aquarium is the aquarium rocks and caves that are used and included in the underwater landscape. 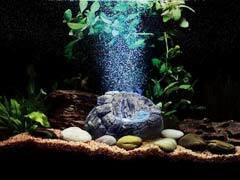 Caves offer your fish hiding places, and reduce the stress they experience. Both saltwater and freshwater fish will require caves and rocks, and you should also include some plants, and even acrylic aquarium decorations as well. 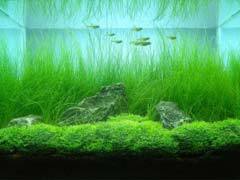 Live Aquarium Plants Care – Easy or Not? Live aquarium plants provide more than just decoration. Just like plants do above water, underwater plants covert carbon dioxide into oxygen. Some species can also absorb harmful nitrites and nitrates, and others can even provide food for many freshwater aquarium fish. 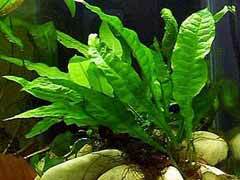 Caring for live aquarium plants, though, isn’t always an easy task. Many beginners may even find it near impossible. Just like the fish in your tank, the best way to take care of aquarium plants is to replicate their natural habitat. 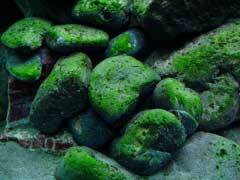 Saltwater aquariums are far more difficult to maintain than their freshwater counterparts. 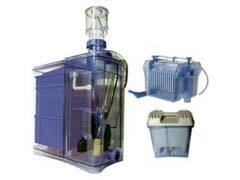 Aquarium filters for saltwater are more complicated and require better filtration while leaving in dissolved salts and some minerals. Saltwater fish are also more susceptible to water temperature and composition requiring more monitoring devices and conditioning solutions than less complicated tropical fish tanks. If you’re just getting started, here is a list of the top 10 most important saltwater aquarium supplies. 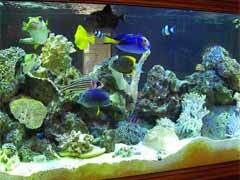 Aquarium Ornaments – 7 Tips How To Decorate Your Aquarium! Whether fresh or saltwater, fish tank decorations are basically the same. 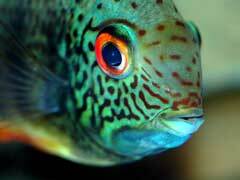 Fish have similar behavior and it is this behavior that tells us what to decorate our tanks with. Here is a list of the 7 best tips for picking out aquarium ornaments. 1. Fish love to hide. Giving your fish places to hide should be the focus of your fish tank ornaments. For most freshwater tropical fish, you can simply use fish flakes.